If you’re a dog owner in Wisconsin, odds are good that you have some experience with training your dog. Whether you’ve simply attempted it or been successful in teaching your dog commands and how to behave, you understand that not everyone can get the results they’re looking for. However, there are several things you should know when training or raising a dog in Wisconsin. The first thing to know is that attempting to control the behavior of your dog that has not yet learned how to obey is tiring and can seem impossible at times. However, there are a few simple commands that can be easily taught and will offer a major difference in the way your dog behaves. One of the easiest commands to teach your dog is to sit. While this skill is learned quickest and is more effective over time at a young age, dogs of any age can learn this skill. This is especially helpful if you have a dog that likes to jump on visitors. The best way to teach your dog to sit is to get on its level by either lowering yourself onto the floor or sitting in a chair next to it, then holding a treat close to its nose. Move your hand up and its head should follow. When its head moves up, its bottom will lower; when its bottom reaches the floor, give it the treat and praise it. This should be repeated several times throughout each day. Training your dog to stay is another popular command among dog trainers. This command, however, is more difficult with younger dogs. Teaching your dog this command can be one of the most beneficial for it to learn. If you can teach your dog to stay, other commands will be much easier for it to learn. To teach your dog to stay, you’ll want to put its leash on and have the dog sit next to you. Move your flat palm in the direction of its muzzle and tell it to stay. Step out in front of the dog, wait momentarily, and step back. Reward the dog if it does not move; however, if it moves, calmly tell it no and try again. Practice this command several times a day, but don’t spend too much time on it at once. It’s also a good idea to teach the dog a release word, meaning a word that will alert it that it can move. Be sure to offer your dog lots of praise when it succeeds. Another lesson that will be beneficial for your dog is teaching it to not run away. This is difficult to accomplish if you don’t have the proper tools on hand, but it is possible. If you have a hard time with your dog running off when it’s outdoors, you might think about getting a wireless pet fence. 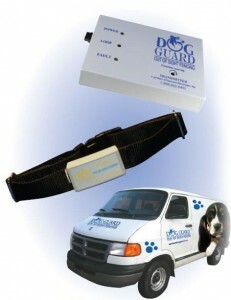 With our electric dog fence, Wisconsin dog owners won’t struggle with keeping their dogs from running off anymore. Our products utilize the latest features in dog training technology on the market right now. Every individual system has its own unique code, guaranteeing that your system will not suffer from outside interference. When you purchase our out-of-sight wireless dog fence, you’ll see that it works fairly easily. A team of installers will put a small wire underground, which will create the boundaries in your yard for your dog. Your dog will wear a collar with a receiver around its neck, which receives a radio signal to give off a stimulus when your dog approaches the boundaries of the fence. WI dog owners will be happy to know that this collar will not hurt your dog with the stimulation. When first buying an electric fence, Wisconsin dog owners are advised to train their dogs to get used to it before letting them loose. Before your fence is activated for use, walk your dog around the perimeter of the yard, marked with flags, on its leash. Use commands to let the dog know to stay away from the flags. Once activated officially, your dog’s receiving collar will emit a stimulation to alert it when it gets too close to the fence. Training the dog to get used to it beforehand will make it much easier for the dog to adapt to the wireless fence; WI dog owners will find that it works more effectively that way. With our hidden fence, WI dogs will be able to become much more well-behaved. Feel free to contact us if you have any questions.